A cast workshop was run on 21 July by Tiffani Cornwall from Johannesburg. GEORGE NEWS - The annual Shakespeare Schools Festival South Africa (SSF SA) will take place at the Oakhurst Insurance George Arts Theatre in September. Theatre manager Heather Stead is pleased that George is to be part of this nationwide organisation founded by festival coordinator and creative director, Kseniya Filinova-Bruton. The SSF SA is inspired by the successful UK school drama version and additional education programme which aims to improve language and social skills through the performing arts. 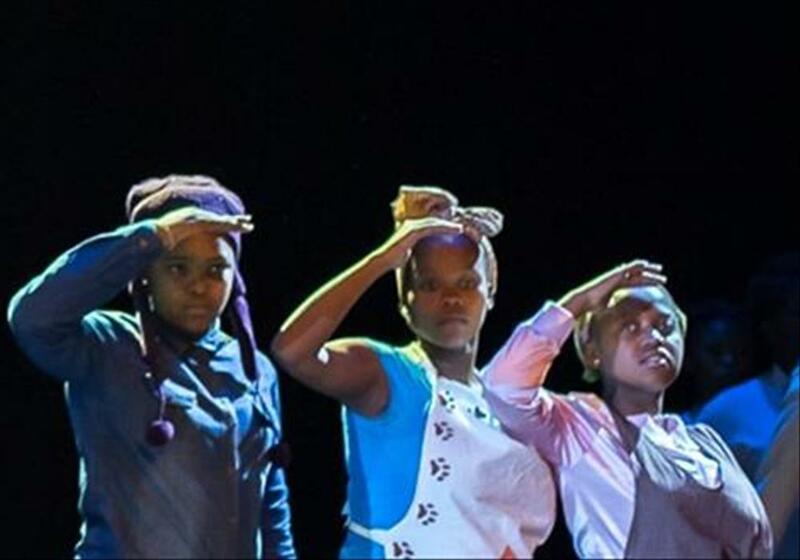 Since the pilot event in 2009, EduCape's Shakespeare Schools Festival SA has grown from 20 learners to approximately 1 500 youth in the Western Province, Gauteng, Kwa-Zulu Natal and Eastern Cape. The festival offers primary and high school students from all walks of life the opportunity to engage their education curriculum for the first time on a professional stage. This thrilling, non-competitive environment builds capacity and character, and allows students to explore aptitudes in a range of work fields. This is the seventh year that learners in South Africa have the opportunity to experience the thrill of mastering Shakespeare. The journey will be unique for every school. All teachers and students will be starting from different places and face different obstacles along the way. So, ask family and friends to come along and also invite colleagues and neighbouring schools to bring a class. Would-be actors appreciate encouragement from the audience. Stead also urges members of all the communities in George to join in and support our schools and students. The SSF George will take place from 1 to 3 September at 18:00 each day. Each play is 30 minutes long and 2 or 3 schools participate each day. Tickets are R40 and R20 for students and can be bought online or at the theatre.